Does your Sony VGN-SZ series laptop computer have a problem but aren't you certain what to do? Well, Creative IT can give your Sony laptop a complete overhaul by providing you with exceptional laptop repair services so that your system will run like new! However, what we carry out at Creative IT is more than just Sony VGN-SZ series repair and we also provide upgrade services to optimize your laptop in order to make it function faster as well as more consistently while eliminating all kinds of problems your laptop experiences. 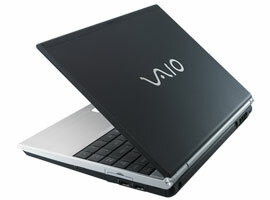 Conveniently located in Central London, we serve our esteemed clients all over the UK, and our Sony laptop repair and upgrade technicians have adequate proficiency and experience in fixing almost all models of Sony laptops and hence can obviously trace out and fix even the most complex component level issues that affect any of the laptop models of the Sony VGN-SZ series including VGN-SZ1HP/B, VGN-SZ1HRP/B, VGN-SZ1M/B, VGN-SZ1VP/C, VGN-SZ1XP/C, VGN-SZ1XP/CF, VGN-SZ1XRP/C, VGN-SZ2HP/B, VGN-SZ2HRP/B, VGN-SZ2M/B, VGN-SZ2VP/X, VGN-SZ2XP/C, VGN-SZ2XP/CF, VGN-SZ2XRP/C, VGN-SZ3HP/B, VGN-SZ3HRP/B, VGN-SZ3HTP/B, VGN-SZ3VP/X, VGN-SZ3VWP/X, VGN-SZ3XP/C, VGN-SZ3XP/CF, VGN-SZ3XRP/C, VGN-SZ3XTP/C, VGN-SZ3XWP/C, VGN-SZ4MN/B, VGN-SZ4MRN/B, VGN-SZ4MTN/B, VGN-SZ4VN/X, VGN-SZ4VRN/X, VGN-SZ4VWN/X, VGN-SZ4XN/C, VGN-SZ4XN/CF, VGN-SZ4XRN/C, VGN-SZ4XTN/C, VGN-SZ4XWN/C, VGN-SZ5MN/B, VGN-SZ5MRN/B, VGN-SZ5MTN/B, VGN-SZ5VN/X, VGN-SZ5VRN/X, VGN-SZ5VWN/X, VGN-SZ5XN/C, VGN-SZ5XRN/C, VGN-SZ5XTN/C, VGN-SZ5XWN/C, VGN-SZ60MN/B, VGN-SZ60WN/C, VGN-SZ61MN/B, VGN-SZ61VN/X, VGN-SZ61WN/C, VGN-SZ61XN/C, VGN-SZ62MN/B, VGN-SZ62WN/C, VGN-SZ6AWN/C, VGN-SZ6RMN/B, VGN-SZ6RVN/X, VGN-SZ6RXN/C, VGN-SZ70M/B, VGN-SZ70WN/C, VGN-SZ71E/B, VGN-SZ71MN/B, VGN-SZ71VN/X, VGN-SZ71WN/C, VGN-SZ71XN/C, VGN-SZ72MN/B, VGN-SZ72WN/X, VGN-SZ7AWN/C, VGN-SZ7RMN/B, VGN-SZ7RVN/X and VGN-SZ7RXN/C models. We provide quick services and most of the repair and upgrade services are completed within a day or two. We also stand out in terms of our highly competitive rates, which are among the best in the industry. Further, you needn't have to worry if you have no time or find any inconvenience in carrying your defective laptop to our Central London repair centre. We can arrange both secure pick-up and delivery services. So fast, friendly, convenient, reliable, and above all, professional London Sony VGN-SZ series repair and upgrade services are just a phone call away on 020 7237 6805. You can also send us your queries to info@creativeit.net.